Police have declared Senator Isah Misau a deserter who left the Nigeria Police Force as a serving deputy superintendent of police to contest for the Senate. He said the police are seeking a prompt consideration of the Senate Committee on Ethics and Privileges to compel Senator Misau to return to the police to respond to the query. 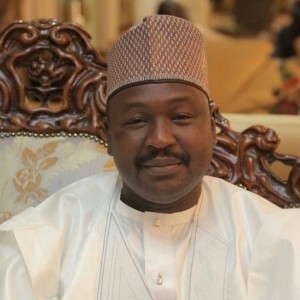 Meanwhile, Misau said in a message on Twitter that he is ready to defend his claims when appears on Channels Television’s Sunday Politics. The allegation comes on the heels of a couple of accusations attributed to the lawmaker against the Inspector General of Police (IGP). Senator Misau alleged that the IGP corners N10nb monthly as internally generated revenue from policemen attached to private citizens and oil companies, while also receiving bribes to post commissioners of police to juicy states. The police, however, described the allegations as baseless, misleading and meant to incite the Nigerian public against the Force. They claimed that it was the lawmaker who committed a crime by deserting the police force since 2010 and forging documents with which he contested and eventually won a seat in the Senate.